This time, I am coming up with the best gaming laptops under $700. When I am finding lower and lower budget gaming laptops it’s become very tough to find out. Because a gaming laptop needs powerful hardware like the latest 7th or 8th Gen Intel Core i5 or Intel Core i7 processor, minimum 8GB of RAM, 2GB or 4GB of the dedicated graphics card and 500GB or 1TB of hard disk. In this budget, it is a little bit tough to get. But you don’t worry, after going through so many laptops I have found some of the best budget gaming laptops under $700 and it has powerful hardware which I have mentioned earlier. If you are buying a laptop from the below list then you don’t need to worry about anything because I have checked all the necessary things and after that, I have included in the below list. 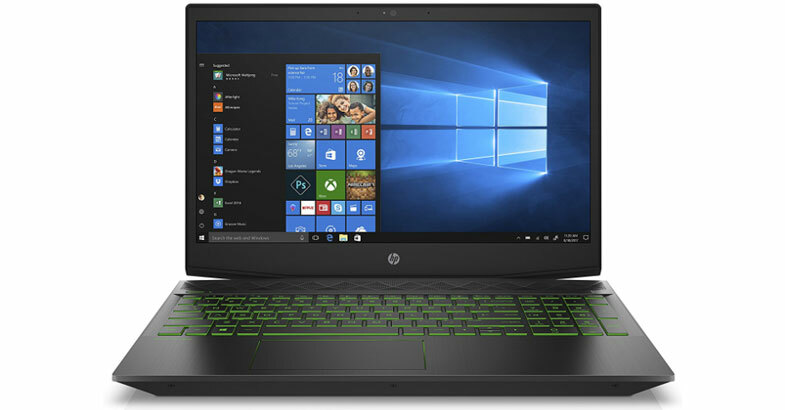 But if you are buying a laptop from anywhere else then, please consider the above hardware specifications which I have mentioned earlier and it was the important things which you need to check when you will going to buy the gaming laptop at this budget. Ok so now we have to take a look at the best budget gaming laptops to buy under $700. 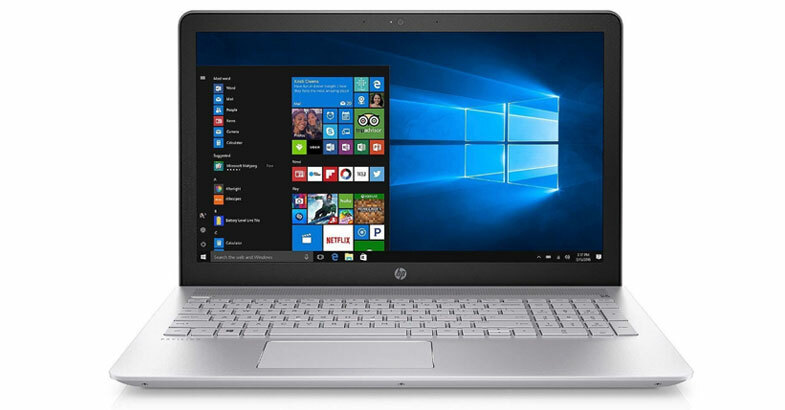 Topping off this list with this HP Pavilion 15-cx0056wm laptop which comes with all the latest and powerful set of hardware configuration. This HP laptop finished in black metal with acid green accents which gives it to gaming feel. The display of this laptop sports 15.6 inches of full HD Anti-Glare WLED-Backlit display with IPS technology that provides accurate colors from a wide viewing angle. This HP gaming laptop is powered by the latest Intel Core i5-8300H processor with base frequency up to 2.3GHz and turbo boost up to 4GHz. For smooth and better graphics gaming experience this laptop is backed by 8GB of RAM and 4GB GDDR5 of NVIDIA GeForce GTX 1050 Ti dedicated graphics card. In this laptop, you can save all your favorite games, movies, songs as it has got 1TB of big storage space. Apart from this, the keyboard of this laptop is a full-size island-style backlit keyboard with numeric keypad that helps you to play games more comfortable even in a dark place. The battery life of this laptop is also good which lasts for up to 7.5 hours on a single charge. If you are a pro gamer and finding the best gaming laptop under a budget of $700 then this ASUS TUF (FX504) is for you. If we look at its design then it has got full black chassis with the red color combination which gives it to an attractive look. This ASUS laptop is just 0.98 thin and weight is just only 5.07 pounds. This gaming laptop comes with 15.6 inches full HD display with 1920 x 1080 resolution. It is powered by the latest 8th Gen Intel Core i5-8300H Processor with turbo up to 3.9GHz. 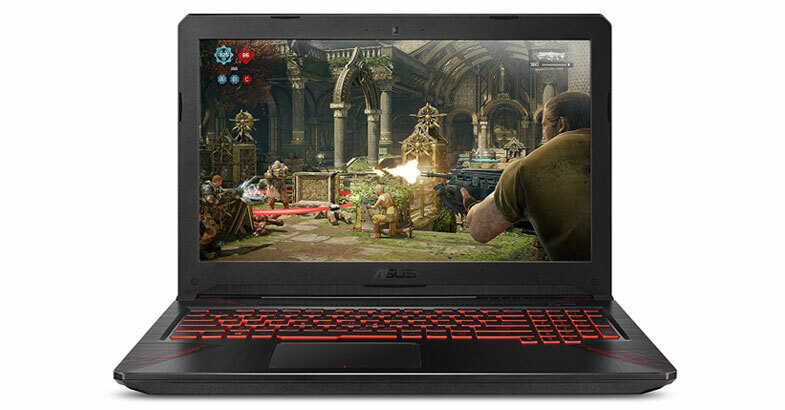 The gaming segment of this laptop is handled by 2GB NVIDIA GeForce GTX 1050 graphics coprocessor and backed by 8GB of RAM which gives you smoother gaming or multitasking experience. This laptop houses with massive 1TB of FireCuda Solid State Hybrid Drive which is 5 times more faster than the normal HDD. 1TB of storage fulfills all your storage needs without any external storage. Moreover, it has dual fans with anti-dust technology which keeps the system cool after a long session of intensive gaming. If you are looking for a pure gaming laptop with a lightweight and portable design then this is the best laptop within 700 dollar budget. If you are looking for a gaming laptop from Dell then this Dell G3579-5965BLK-PUS is for you. This Dell gaming laptop finished in black with blue accents which gives it to an impressive look. It sports 15.6-inch of full HD Anti-Glare LED-Backlit display with IPS technology which gives you better color reproduction and representation. This laptop is equipped with the latest 8th-generation Intel Core i5-8300H processor with turbo boost technology up to 3.9 GHz. The device is backed by 8GB of RAM and runs on the Windows 10 operating system. Gaming essential on this laptop is handled by the NVIDIA GeForce GTX 1050 graphics card with a dedicated memory of 4GB. On the storage front, it has 256GB of SSD drive which faster than the traditional hard drive. Apart from this, it has dual fans which help to keep the machine cool and stable while intense gaming session or doing heavy multitasking work. This Dell laptop is powered by the MaxxAudio Pro to deliver superior sound with two front-firing speakers. As per its powerful configuration, I can say that this is the most affordable gaming laptop under around $700 gaming laptop category. This 2018 HP Pavilion finished in a silver chassis with silver shiny HP logo on the lid looks stunning. The display of this laptop is 15.6-inch of diagonal full HD BrightView WLED-backlit display with IPS technology which provides color rich visual from a wide-viewing angle. It is powered by the latest 8th Gen Intel Core i7-8550U quad-core processor with 4GHz of Intel turbo boost technology. To take care of multitasking work it comes with 8GB of DDR4 RAM. If you are concerned about the storage segment of this device then it houses with massive 2TB of HDD drive which is more than enough to store all your personal and professional data. To handle all your favorite games it has got 4GB of NVIDIA GeForce 940MX dedicated graphics card. Moreover, this device runs on the Windows 10 operating system and got all the required ports and slots. The keyboard of this laptop is full size with Numpad and also backlit enabled which helps to play your favorite games even in a dim condition. 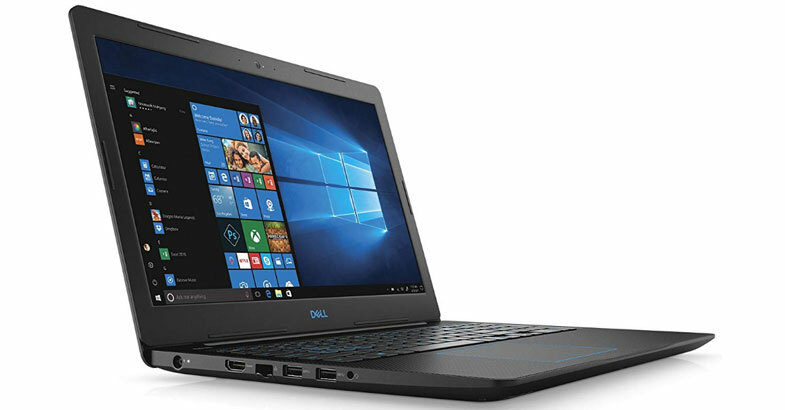 If you are looking for a gaming laptop which looks like a business laptop then this Dell Inspiron 15 7570 is the best option for you. The silver finished outer body this laptop gives premium look and feel. 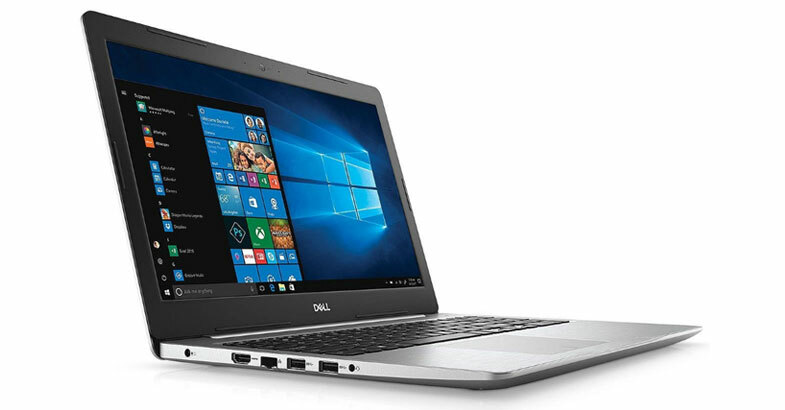 This Dell laptop is powered by 8th Generation Intel Core i5-8250U processor with 6MB Cache and turbo up to 3.4 GHz. 8GB of DDR4 RAM this laptop has got which is good enough to handle almost all the task which you will throw. The best part about this laptop is that you can be able to expand up to 32GB with its additional memory slot. If you are concerned about the storage of this machine, then it comes with huge 1TB of HDD drive. To handle all the latest games it is equipped with Nvidia Geforce 940MX graphics with 4GB of dedicated memory. The display of this laptop is 15.6 inches of full HD IPS True-life LED-Backlit display which delivers crisp and clear visual. Moreover, it has got a 180-degree strong hinge which helps you to lay your screen flat. On a single charge, this laptop provides up to 8.5 hours of battery backup. 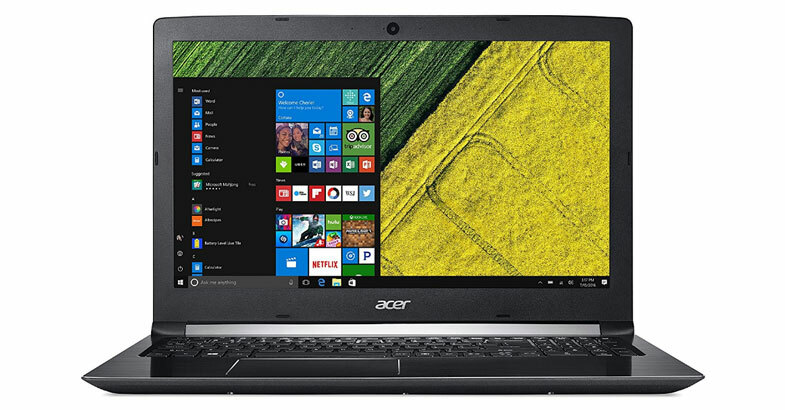 This Acer Aspire 5 A517-51G-55RE is a budget gaming laptop with power packed performance. If we talk about the design of this laptop then its lid has a stylish textile pattern with silver Acer logo gives premium look and feel. This laptop has got 17.3 inches of full HD LED-backlit display with 1920 x 1080 pixels of resolution. If we talk about the internals of this laptop then it is powered by the latest 8th Generation Intel Core i5-8250U processor which clocked at 1.6GHz and turbo boost up to 3.4GHz. It houses with dedicated 2GB NVIDIA GeForce MX150 GDDR5 VRAM and 8GB of RAM to gives you smooth experience while you are playing games or doing multitasking. It has a massive 1TB of storage space which is good enough to store all your files and data. It has inbuilt stereo speakers with Acer TrueHarmony rich audio system which gives you an amazing multimedia experience. The battery life of this laptop is also good which provides you up to 7 hours of decent battery backup. The Acer Nitro 5 made up with matte black finished chassis with red accents which gives full gaming look and feel. This Acer laptop sports 15.6 inches of full HD Widescreen display with IPS technology which delivers color rich visuals from a wide-viewing angle. If we talk about the hardware of this device then it has inside 8th Gen Intel Core i5-8300H processor and runs on the Windows 10 operating system. For handling all the gaming essential it has dedicated 4GB NVIDIA GeForce GTX 1050 graphics coprocessor. On the storage front, it has got huge 1TB of HDD drive to store all your games, videos, Pictures etc. To handle multitasking work this laptop is backed by 8GB of RAM and it can handle almost all the task which you will throw. This ASUS VivoBook S has got gray color metal finished chassis which gives it to an attractive look. If you are searching for a laptop which you can use for gaming as well as at your work then this is the perfect option. It is because it doesn’t look like a gaming laptop from its design but it has got powerful hardware which fulfills your gaming essential. I can say that this is an all-purpose or multipurpose laptop under the budget $700. This multipurpose laptop sports a 15.6 inches Full HD display with WideView technology ensures that colors and contrast remain vivid and bold, even when viewed at extreme angles. It is powered by the 8th generation Intel Core i5-8250U processor and backed by 8GB of RAM. 2GB of NVIDIA GeForce MX150 graphics handled the gaming segment of this device. To fulfill your storage needs it has 256GB of SSD drive to store all your data and files. This machine has wrapped all the specs in 0.70″ thin profile which weighs 3.75 pounds only. Moreover, it has all the necessary ports and slots except an optical drive. If you are looking for a thin and lightweight laptop for gaming and work then this one is the perfect option for you. Above all the gaming laptops are best to buy under a budget of $700. All the laptops come from well-known laptop brands and well in-built hardware specification for your gaming experience. For buying the best gaming laptop under $700 are quite a low budget but there are a few laptops available in this budget segment which I have found out for you. I hope the above best gaming laptops under 700 dollars buying guide help you to find out the best laptop for yourself. Still, you will need any help or need suggestion feel free to ask me through below comment box. To paraphrase, you said that as the cost of budget gaming laptops gets lower and lower, it’s becoming more difficult to find a good one for under $700. But we think you did an excellent job with selection you’ve provided from Acer, Asus, Dell and even MSI. Finding any laptop with any budget in mind can be a difficult task. For the post we’re currently writing we’ve had to scale down all the things a user should look for in a laptop at this budget to the two most important. We think that without a doubt the two most important things to consider in any gaming laptop (regardless of the budget) are the processor and graphics cards. Which you guys totally nailed. We like your post so much that we’ve even shared it on Facebook and Twitter. We look forward to reading future posts.